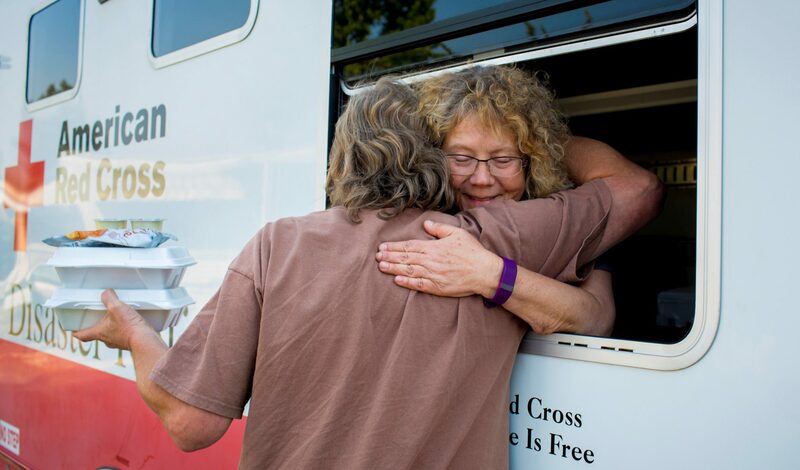 The American Red Cross continues its effort to assist affected families since devastating tornadoes ravaged parts of central Iowa on July 19. The tornadoes leveled homes, overturned cars, and injured people. Red Cross aid workers from Minnesota were among some of the first to reach people in the affected communities. The team has deployed 15 aid workers including six employees and volunteers in senior disaster management roles. Disaster assessment shows hundreds of homes have suffered major damage. The team is working extensively on first-hand activities in the field as well behind-the-scenes relief to bridge from emergency relief to long- term recovery. Marshalltown is the most affected area and is serving as the recovery hub for the response. In that area, Jeff Thelen, a Red Cross volunteer from Farmington, MN, has been instrumental in distributing relief supplies. Along with his friend Ernesto from Illinois, Jeff has been going home-to-home. Already they’ve reached more than 150 households. “It’s very easy to spot homes in need by mere sight,” Jeff says. Emphasizing the level of destruction, he says they sometimes exhaust their truckload relief supplies mid-way through the day due to the demand and eagerness of the people to reaching out to Red Cross for disaster relief. hope. This includes 15 aid workers from the Red Cross in Minnesota. The Red Cross will continue helping affected communities on the long road ahead that comes with rebuilding life after a tornado. We will provide support as long as it’s needed. Click here to learn more about the response. Thanks! Glad you enjoy the content. Maintaining the blog takes an effort. Thankfully we have people who like to contribute. Cheers!